Power, grace and beauty, the Gypsy Vanner displays all three. 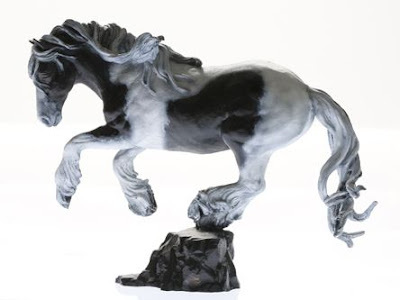 The long thick mane and tail become a design element in the sculpture. Available in black and white or traditional french brown patina.